Bangladesh, Canada, France, Germany, India, Italy, Japan, Korea,Maldives, Pakistan, Poland, Sri Lanka, Switzerland, U.K., U.S.A.
Nineteen slams were scored in the World Championship. 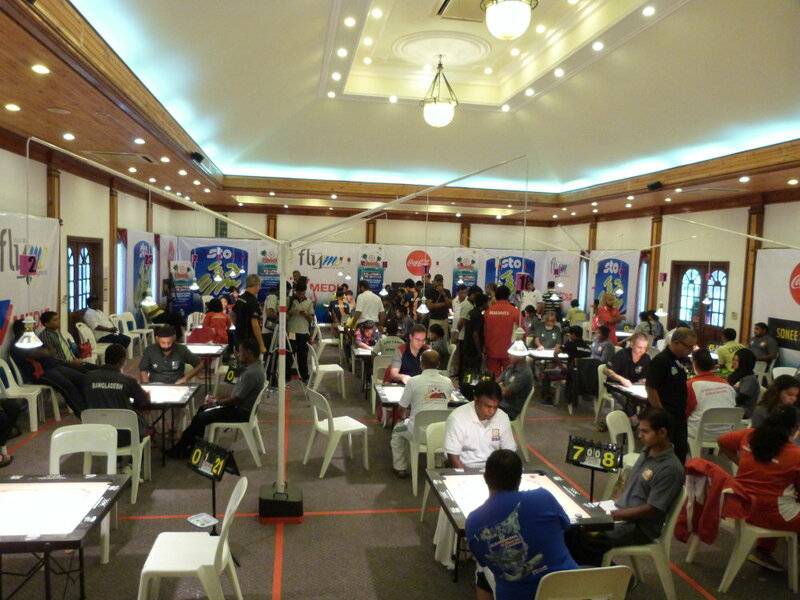 Nishanta Fernando of Sri Lanka scored seven slams (5 white and 2 black). Bharathidasan of India scored 5 slams while Yogesh Pardeshi and Rashmi Kumari of India scored two slams each. Prakash Gaikwad (India), S. Ilavazhaki (India) and Senaratne (Sri Lanka) scored one slam each. India snatched Teams World Championship title from Sri Lanka at the 6th ICF Cup at Kuala Lumpur, Malaysia. India beat in Men's Teams Event World Champion Sri Lanka by 3:0. Sri Lanka came second and Maldives on 3rd position. While Pakistan fought hard to come on 4th place by beating Malaysia. Also the Women's Teams title went to India, which like in men's event defeated all countried by 3:0 each. During the matches Shariffuddin of Sri Lanka made a Black Slam, while Yogesh Pardeshi of India made a Whilte Slam. Earlier in the morning the 6th ICF Cup was inaugurated by Arif Naqvi, President of the International Carrom Federation. Naqvi thanked on behalf of the ICF and players the Malaysian Carrom Association for hard and dedicated work to make the ICF Cup successful. He stressed on the great social values of the game of Carrom. Mr. Balbir Singh president Malaysian Carrom Association thanked ICF and the players for their cooperation and informed that the Government of Malaysia has supported the ICF Cup.